Below please find the order of service for Lura Knipp's funeral. Lura was always an interesting soul to visit with and we shall all miss her. God's comfort and strength to her family. Due to the snow and rain, the cemetery wasn't in any shape for us to do the burial after the service. The grave I am told is literally filled with water. Lura's body will be laid to rest at a later time. Heavenly Father, You have assured us that through Your Son all shall have eternal life. Trusting in Your faithfulness and mercy, we await that glory filled day when You raise us all to life in triumph and we shall stand before Your throne. Standing there with all Your creation made new in Christ Jesus, basking in the glory of Your eternal Heavenly Kingdom. Lord, we acknowledge Your presence here and come before Your throne this morning as friends and family of Lura Norene Knipp. 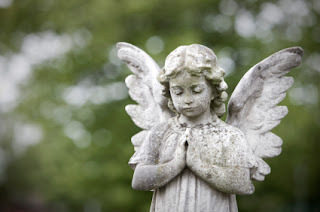 We are here because we loved her, and now miss her, and we want to cherish our memories of her, we want to honor her life, to honor her, and to support one another as we grieve her passing – a passing from life here with us to everlasting life there with you O Lord. God, thank you for Lura, You formed her, you knew her, you walked with her through 99 years, and even now we have confidence that she is in your presence. 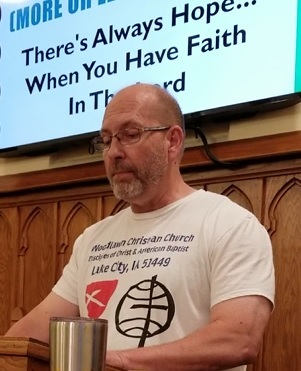 Thank you that you are a God of mercy, who promises to comfort us, particularly when we lose our loved ones, and so in these moments now, and in the weeks and months ahead, please bring comfort and mercy to us as we remember, and share fondly all that Lura was to us. In the mighty and holy name of Jesus, we pray. and dispel the shadow of death with the bright dawn of life. Give courage to this family in their loss and sorrow. 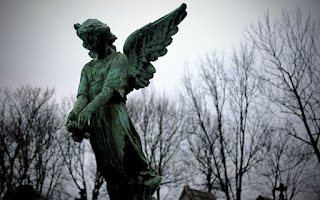 Be their refuge and strength, O Lord, reassure them of your continuing love and lift them from the depths of grief into the peace and light of your presence. Lura Norene Knipp, age 99, passed from this world in which we reside and into the Kingdom of our Lord and Savior on Thursday, March 7, 2019, at Shady Oaks Retirement Center. Lura was born on October 18, 1919, to Homer Ort and Ethel Sharkey-Ort. Lura was one of seven children that blessed the Ort family. On July 10, 1948, Lura married Frank Leslie Knipp at the Presbyterian Church in Long Beach, CA. Frank had been in the Army stationed in California and then after leaving the military, he worked in the ship-yards out in Long Beach. When I would stop in and visit with Lura she often had a story to tell me about the going on's at the ship-yard. As there often was in the stories that Lura told me there was an element of mystery and intrigue to the tale. While living in California, Lura worked at the See’s Candy Company when it very first opened back in the 1930s. She was always very proud of having worked there. When she and Frank moved to Kokomo, Indiana, she then worked as a nurses aide in the nursery at Kokomo Hospital in Indiana. She and Frank then moved to Tazewell, Tennessee. After Frank died she first moved to Waukee, Iowa and then later to Lohrville, Iowa where she lived with her sister Betty. She transferred her Church Membership to Woodlawn Christian Church on April 3rd, of 1994 and was active in Church events and projects, she worked in the kitchen for dinners and luncheons. Lura lived in Lohrville until she moved into Shady Oaks in 2015. Lura and Frank enjoyed traveling together and had a mobile home with which they made their outings. She enjoyed gardening and loved to cook. Lura loved to sew and was considered an excellent seamstress by her friends and family. She enjoyed all types of craft projects and activities. Lura was admitted to Shady Oaks in 2015 due to her worsening dementia and I have to believe that prior to her decline that she was a very sharp and intelligent woman. When visiting with her you could see this wonderful twinkling light in her eyes and her impish smile was delightful. Often when she was telling me one of her stories of intrigue I could see that she was struggling to find the right word and I often felt that she would eventually just settle on a word and then go on with the tale... whether the word fit the story or not. I always enjoyed visiting with Lura, as I said I believe that prior to her decline she must have had a very broad knowledge. I forget who told me the story but it was relayed to me as a conversation with Lura where she was laying out details of something or another and the individual asked Lura how she knew all of these things to which she replied, “well, I read”. When I think of this story I can't help but see Lura, her head tipped upwards peering over the top of her glasses and that sly smile. 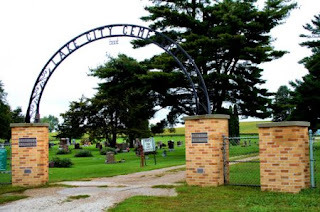 I remember a couple of times when I was visiting with Jolene Mapel, who was one of Lura's many cousins, that Lura would come in to visit Jolene. She one time brought several photos to show to Jolene and Jolene asked if she could have copies made. Lura said she could but she was most insistent that she get those photos back. Jolene reassured her that they would be returned, and they must have been because I never heard any more about it from Lura. 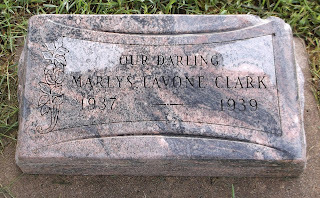 It was Jolene who told me about Lura having lost a child, she remembered seeing Lura's daughter “Marlys Lavone Clark” lying in her coffin. 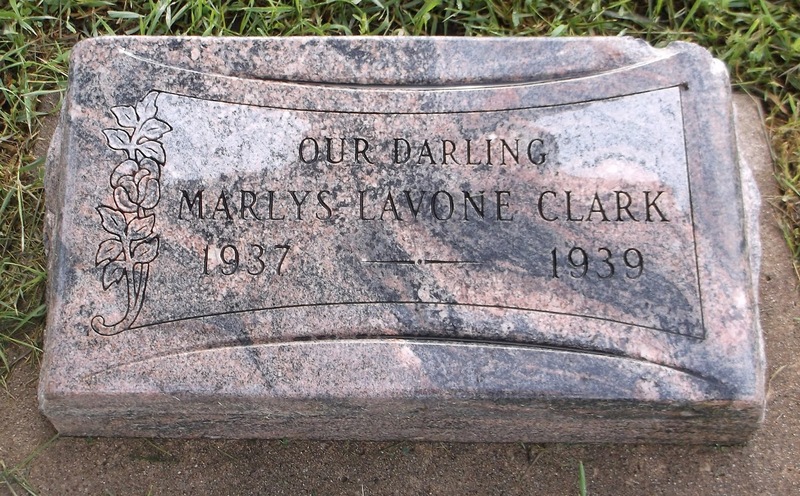 Marlys died in 1939 at the tender age of two. Jolene would have only been six years old herself, and she talked of seeing that little girl in her coffin, she described her as being so pretty... and looking like a little doll. We can only speculate on the effect that losing her only child at such a young age had on Lura... but it had to be devastating, Lura herself would have only been twenty at the time... and we can only wonder what effect it had on her first marriage which ended in divorce. We can only imagine the great weight in Lura's heart as she helped with those little babies while she worked in the Nursery in Indiana. Her little girl is buried here in Lake City, near her grandparents. After eighty long years... Lura today... is once again reunited with her precious young daughter. Praise God. Often when I would visit Lura she would show me the gift or care boxes that were sent to her by one of her nephews, I apologize that I don't know which of you was the kind sender of these gifts. Lura was always so proud of those boxes and would show me the contents but almost always follow up telling me about each item, that she was 'saving' that item. I often wondered why she would save them... at 99, why are you saving the chocolates... eat them! Perhaps Lura figured she would endure as long as her Aunt Bessie. On Sunday morning while getting ready, I was thinking about Lura and it struck me... today I preside over a remembrance service unlike any I shall likely ever preside over again in my life... over one that is likely to never happen in any minister's life... today we lay to rest a woman of nearly ninety-nine and a half years, and she's survived by her Aunt! God bless Lura's aunt Bessie, it is a very rare soul indeed who is blessed to have one of their parents siblings still with them when they are very nearly 100 years of age. Lura had the great privilege of making a new and dear friend in her last days, Roxy Crandall became her new roommate and Lura enjoyed both Roxy and Scott's friendship. She was even a bit possessive of Scott telling the nurses to leave him alone because he was hers. Praise God for Roxy and Scott making Lura's last days here in this world such wonderful and loving. Thank God for all God's wonderful angels that live here in this world. 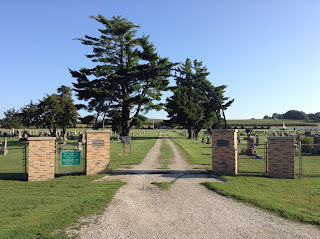 Lura was preceded in death by her husband Frank in 1984, her daughter Marlys Clark in 1939, parents Homer and Ethel Ort, brothers Kenneth, Burney, Warren and Chuck Ort, and sisters Darlene Caskey and Betty Scollon. She is survived by her many nieces and nephews, by various and numerous cousins, and by her Aunt Bessie Hendricks. The family asks that any Memorials be given directly to St. Jude Children’s Hospital. Ours is a great and wonderful God, a God who loves us and watches over us our whole life long. Let us never lose heart, let us always remember to smile and gently laugh, even while the world throws it's worst upon us... for we know that beyond all that we see and endure here, that our Lord and our Savior loves us. Thank you, dear Lord, for giving us Lura to know and to love on this earthly journey. Though we shall always miss her, we know that her gentle, impish smile, today lights the very streets of Heaven, and its memory shall long be lit in the hearts and minds of those who loved her so very, very much. Praise be to God. The family wishes for you all to join them in further celebration of Lura's life and a time of shared remembrances and closure, by gathering with them for lunch in the Church's fellowship hall immediately after the service. 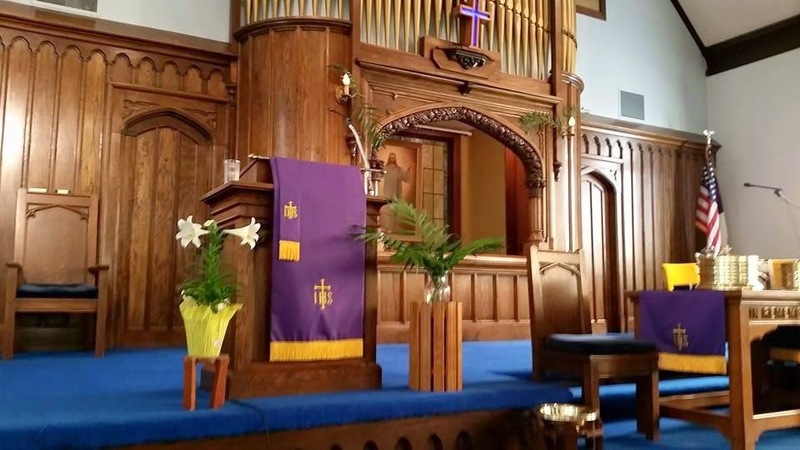 Due to the weather, we will go ahead and perform the committal service here in the Sanctuary. With confidence, we now entrust Lura to your unfailing love and overflowing goodness. Through the power that raised Christ from the dead to live eternally with you, lift up this, your servant, to life fulfilled beyond our imagining. We give you but your own, enfold her in your everlasting arms, hold her for she is your child. Reassured of your abiding presence, help us to knit more firmly the ties that bind us one to another. Renewed by your love, help us to love in ever larger circles so as to embrace your people everywhere till at last we are all united eternally through Christ, who lives and reigns with you and the Holy Spirit, one God, now and forever. Amen. Selfishly, we as mortals wish to hold on to Lura. It brings great pain to let her go. Living in the resurrection hope of our Lord Jesus Christ, in the trust of a loving God and in the promise of eternal life, we now commit her body to its place of rest. We will continue to mourn Lura, but now her smile and laughter will warm the kingdom of God. We will continue to love Lura, but God will now take care of her. We will continue to carry Lura in our thoughts, but she will now be kept safe in God's hands. Receive her in the arms of your mercy, O God, into the blessed rest of everlasting peace, and into the glorious company of all your saints. 9 What do workers gain from their toil? 10 I have seen the burden God has laid on the human race. 11 He has made everything beautiful in its time. He has also set eternity in the human heart; yet no one can fathom what God has done from beginning to end. 12 I know that there is nothing better for people than to be happy and to do good while they live. 13 That each of them may eat and drink, and find satisfaction in all their toil—this is the gift of God. 14 I know that everything God does will endure forever; nothing can be added to it and nothing taken from it. Believing in the Resurrection to eternal life through our Lord Jesus Christ, we now entrust Lura to the care of Almighty God and we ask Our Father to open the doors to his mansion and lead Lura to the room made ready just for her. As we now commit her body to the ground; earth to earth, ashes to ashes, dust to dust, we commend her spirit to its new home. Rest eternal grant her, and let light perpetual shine upon her. God has blessed and enriched our lives in giving us Lura to know and love here on this earth. Though our time together was not nearly enough, in committing her body to the earth, we give over to God the care of her spirit, and we acknowledge that we will one day reunite with her in God's Kingdom. The Lord bless her and keep her; the Lord make his face shine upon her and be gracious to her; the Lord look upon her with favor and give her peace.
" See, the home of God is among mortals. He will dwell with them; they will be his peoples, and God himself will be with them; he will wipe every tear from their eyes. Death will be no more; mourning and crying and pain will be no more, for the first things have passed away." And the one who was seated on the throne said, "See, I am making all things new." Also he said, "Write this, for these words are trustworthy and true." Then he said to me, "It is done! I am the Alpha and the Omega, the beginning and the end. To the thirsty I will give water as a gift from the spring of the water of life. Those who conquer will inherit these things, and I will be their God and they will be my children. This concludes our committal service.